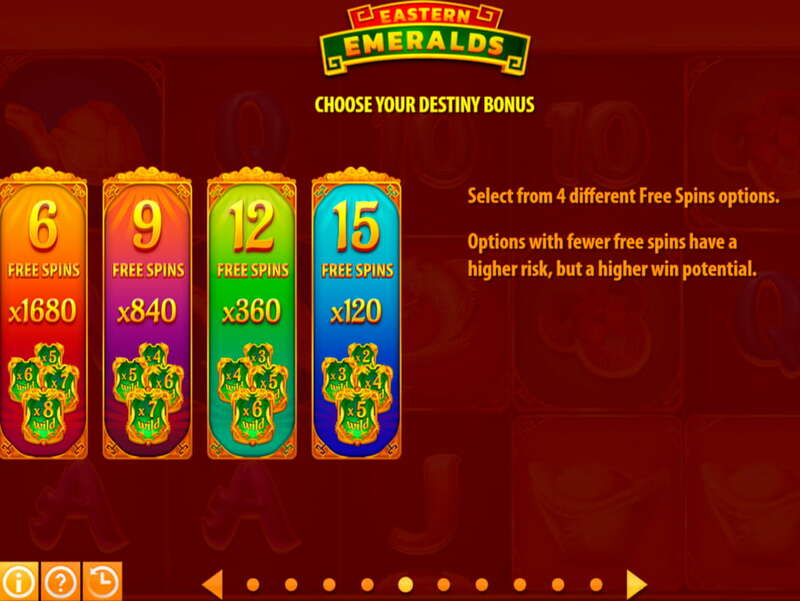 If you want to play a fun playing and high playing video slot come and find out just what the Quickspin Eastern Emeralds slot has to offer you. 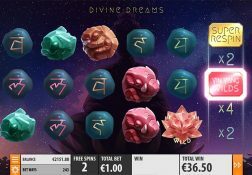 Where can I play Eastern Emeralds for Real Money? 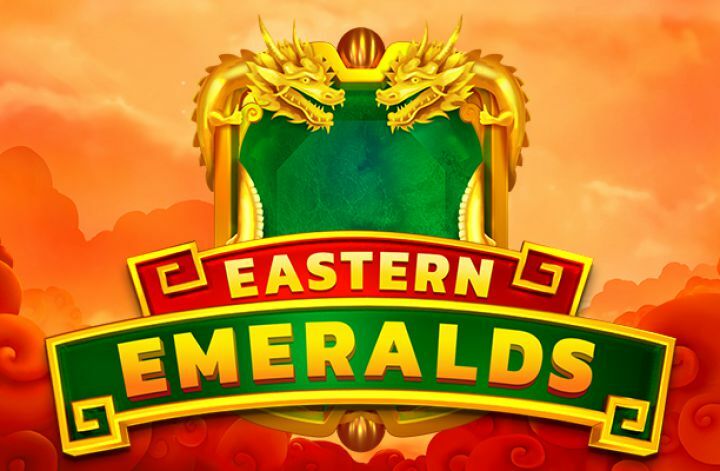 You will have a ball playing the Oriental themed Eastern Emeralds slot game online and thanks to its design it is one of those slots that can and often does deliver some very long slot playing session to players, so read on to find out more and how it does just that! 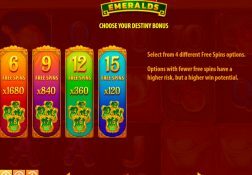 The team at Quickspin certainly know what slot players enjoy, and long slot playing sessions is one of those things for sure, and thanks to the low variance playing structure of their Eastern Emeralds slot it is a slot worth playing. 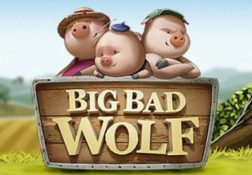 However, not only does this slot deliver a low variance type of playing format it also comes with a high payout percentages too, so those winning spins cannot help but spin in time and time again. 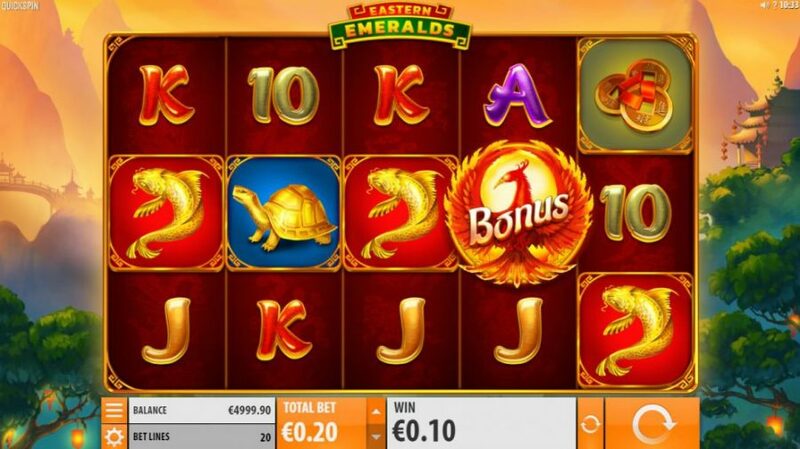 It is both an online and mobile device compatible slot and one that comes with loads of different staking options too but with just 20 pay-lines spread across its reels you are going to find it can be a very low cost slot to play if you play for low stakes of course! 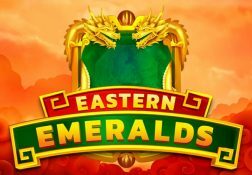 The Eastern Emeralds Slot has a payout percentage of 96.58%.